Added by Debra Tash on March 12, 2019. The city of Moorpark has selected a new chief to oversee police services in the city of 37,000 residents. 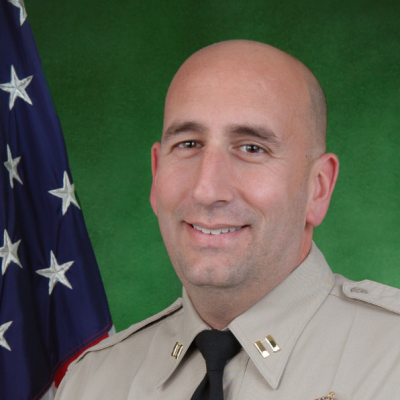 Ventura County Sheriff’s Captain Victor Fazio was chosen as the top cop to replace John Reilly, who recently promoted to commander and will be in charge of patrol services for Eastern Ventura County. Fazio is a 24-year veteran of the sheriff’s office, and has an extensive background in criminal investigations and narcotics enforcement. He takes an innovative approach to policing and problem solving. Fazio was instrumental in creating and overseeing the Pharmaceutical Crimes Unit to tackle the emerging opioid threat and the physicians who overprescribe addictive narcotic painkillers. He is a nationally recognized expert in pharmaceutical drug diversion and heroin trafficking organizations. Fazio has a bachelor’s degree from UCLA in political science, a master’s degree from Arizona State University in criminal justice, and a doctorate in education from the University of Southern California, where his research was focused on physician education. Fazio is also a professor of criminal justice and holds the rank of faculty associate with the Watts College of Public Service and Community Solutions at Arizona State University. He was also recently appointed as an adjunct associate professor with USC Bovard College. Fazio was born and raised in Thousand Oaks, and currently resides in Simi Valley with his wife Courtney and their two daughters. He will begin his new assignment as police chief on March 24, 2019.